League of Legends will soon be streaming on ESPN+, starting with the summer split of the North American LCS. The non-exclusive, multiyear deal will bring League of Legends esports to the newly launched streaming service alongside existing broadcasts on Twitch, YouTube, and the in-game viewer. The summer split begins on June 16, kicking off your opportunities to watch pro League play alongside MLB, NHL, and college sports games on ESPN+. NA LCS games run on the weekends through August 29, leading up to the summer finals on September 8 and 9. In addition to those games, you’ll see the world championship, North American Academy League, Mid-Season Invitational, All-Star event, and Rift Rivals on the service. Obviously, League makes our list of the best MOBAs, but what else is there? This agreement builds from a record-setting $300 million deal between Riot Games and BAMTech, which would have seen the latter company gain exclusive rights to stream pro League competitions. Disney acquired a majority share in BAMTech last August, and according to Bloomberg, the House of Mouse has focused on building their sports streaming via their own ESPN brand. Riot is calling this deal “an evolution” over the original, though no specific terms were mentioned. 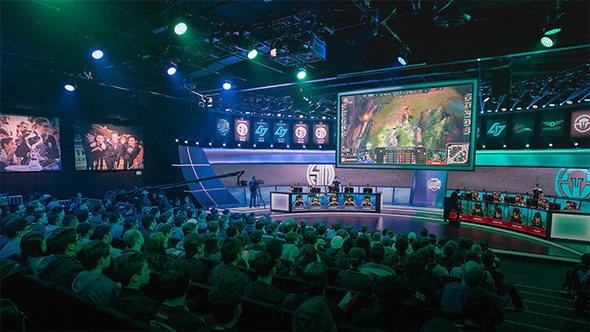 This will allow Riot to look for other deals in other regions, and does present League a broader potential audience on a traditional sports streaming service. If your usual viewing spots on YouTube and Twitch aren’t doing it for you anymore, you can subscribe to ESPN+ for $4.99 a month. But, realistically, this deal is less about providing a platform for traditional esports viewers, and more about getting esports in front of an even bigger audience. We’ll find out how successful that plan is in just a few weeks.